Beyond her spellbinding beauty, Voodoo queen Marie Laveau exerted power, resistance and compassion in the era of slavery. She wore her long, black hair wrapped in a tignon with curls dangling to the front. Gold hoops hung from her ears, with jewelry illuminating her neck, fingers and wrists. She walked with her head held high, as if she owned the very streets she walked on—and that she did. Marie Catherine Laveau was born on Sept. 10, 1801, in New Orleans. She was a free woman of color, spoke fluent French and was a Black “Creole” of African, European and Native American descent. This racial designation was as political as it was social, and possessed its own set of traditions and distinctions in 19th-century New Orleans. Laveau was raised in the home of her enslaved grandmother, who was brought to New Orleans from the heart of Africa. Her mother, Marguerite Henry d’Arcantel, was born a slave and eventually gained freedom, and her father, Charles Laveaux, was a free man of color and successful businessman. Laveau married Jacques Paris, a carpenter who fled to New Orleans following the Haitian Revolution. He disappeared shortly after their marriage, and she took on the name “Widow Paris” for the rest of her life. Years later she entered a “common-law marriage” with a white man of French descent, Christophe Glapion. They remained married until his death. The law of the land was the Louisiana Code Noir (Black Code), a set of French laws that defined the conditions of slavery and regulated the lives of Louisiana’s Black population. Under the Code Noir, slaves were to be baptized Roman Catholic, and the practice of other religions was strictly prohibited. Marie Laveau emerged as the Queen of Voodoo while still a devout Catholic. Her clever alignment with the Catholic Church enabled her to also exercise the religion of her ancestors, despite the law’s demonization of African religions. She attended Mass on Sunday mornings and by afternoon led Voodoo ceremonies in Congo Square, the public space where slaves were allowed to congregate with police supervision. It is said that she hosted exaggerated, stereotypical Voodoo ceremonies in public to trick white onlookers but held the true, spiritual rituals in private. Her living-room altar was filled with candles, roots, love and good-luck charms, offerings such as rum and peppers, and statues of Catholic saints. A Black statue of “St. Marron” stood out in particular; it is said to have represented the Maroons of Louisiana, defined as “runaway slaves” in French. People of all races would consult the Voodoo Queen for her services. She was an entrepreneur of her time, doubling as both a hairdresser and a priestess. Laveau’s reign was prominent during the 1853 yellow-fever epidemic, in which she used holistic remedies to heal those suffering. When one of her peers came to her with financial issues, she concocted tricky plans to solve their problems. Her white clientele confided in her with issues of infidelity, bad luck and infertility. She used this to her advantage, knowing just what to do to keep them coming back for more gris-gris (good-luck charms) and candle offerings. From clients to police, businessmen and city leaders, Laveau had the city of New Orleans wrapped around her finger. 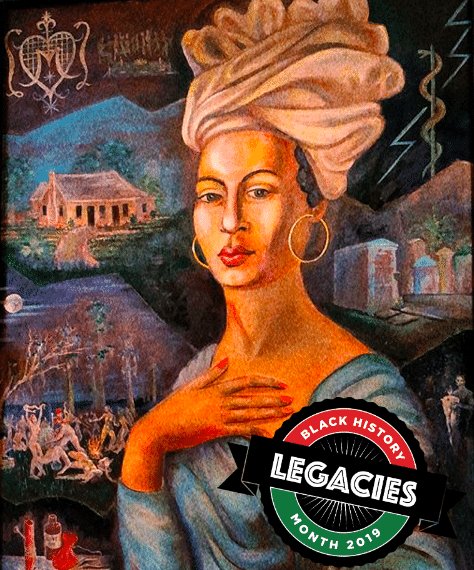 Aside from her entrepreneurship and religious practices, Marie Laveau was a woman of charity and selflessness. 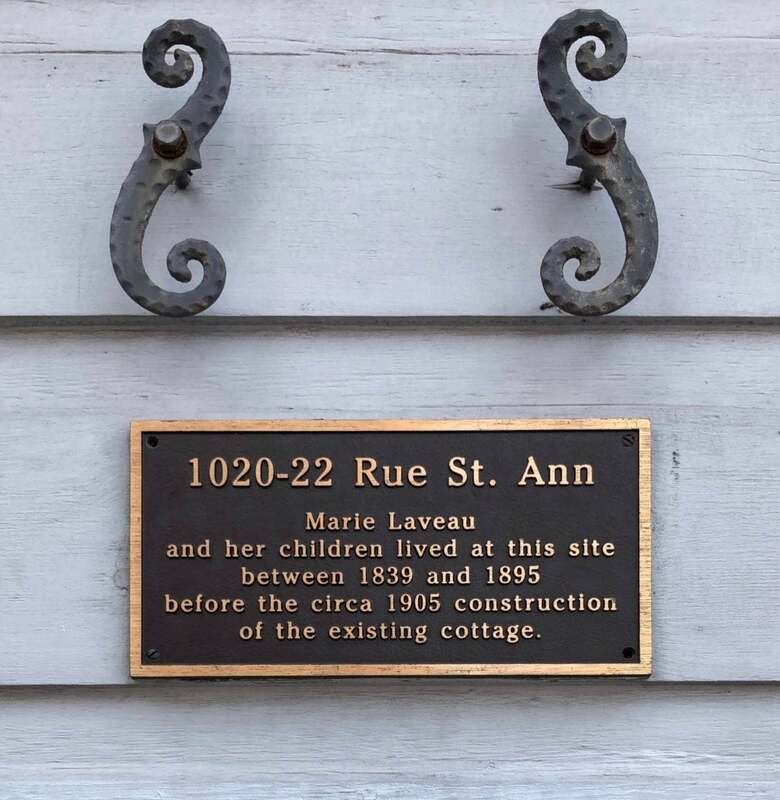 The site of Laveau’s former home stands just blocks away from New Orleans’s notorious Bourbon Street. She bore 15 children with her husband, Christophe, but only two daughters survived to adulthood. In addition to their own children, the Laveau-Glapion home was constantly occupied by those in need. Laveau took in orphans who played alongside her children and grandchildren, even paying for the schooling of a young boy despite never receiving an education herself. Her home was a refuge for enslaved men and women as well as the Native Americans who slept in her yard and left indigenous herbs in exchange for her hospitality. Throughout her life, Laveau often paid the bonds of Black women who were arrested for petty crimes. As she grew older, she became a frequent visitor of the New Orleans Parish Prison and dedicated over 20 years to prison ministry. She is known to have prevented executions and shortened sentences through her power. Laveau visited death-row prisoners daily, cooked gumbo for their last meals and prepared altars in their cells. She prayed with the imprisoned to help their souls reach salvation, and would stay with them until their dying day. At nearly 80 years old, Marie Catherine Laveau-Glapion, “Widow of Paris,” died in her home on June 15, 1881. She was succeeded by her daughter Marie Laveau II, who carried on the Voodoo traditions of her mother. Laveau was a woman of mystery. There are details of her life that are disputed or unknown, and her refusal to ever sit for a portrait leaves us to appreciate her beauty only through recollection. She rose to prominence in an era when Black people were deemed less than human, and exerted power over the very systems and individuals intended to oppress her. She was a righteous woman, using her power and privilege to help those who were poor, sick, enslaved, abandoned and imprisoned. Laveau was a symbol of resistance: preserving African traditions, rising as a female leader and gaining a level of respect that was unaccustomed for Black women of the era. From the city of New Orleans to the depths of our history, Marie Laveau is never to be forgotten. May her legacy and spirit continue to reign supreme. Vive la reine! Long live the queen.